This popular gift features Domaine Ste. Michelle or Moet elegantly presented in a gift box. It's the perfect gift for clients, colleagues, and loved ones! This gift does not include Champagne flutes. Measures 14" x 5" x 5". 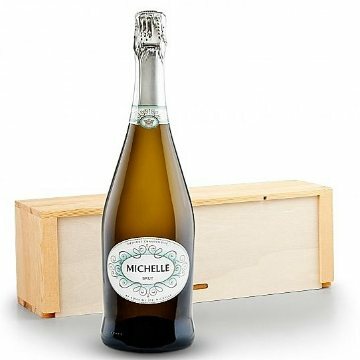 Domaine St. Michelle: A contemporary and stylish sparkling wine, this Cuvee Brut is delicate and balanced in the classic French methode champenoise style. Tasters will detect generous pear and toast flavors with a note of lime and tangerine on the finish. Crisp with bright acidity.